Welp. It’s been a month since we last talked pizza. It’s time. If you’re wondering about my pizza game plan, like you’re curious if I just open up my fridge, pull out a bunch of random (read: ready to expire) ingredients and throw them on top of silky dough, you’d be correct. Also, yesterday I got through the day with the Backstreet Boys pandora station. Since you know me so well, you’re probably not surprised. I had to tell you though. What IS surprising however is that my husband walked through the door, looked at me and started belting out the lyrics to Britney’s Toxic… practically in tune with what was coming out of the speakers. Well, sorta. He usually cringes when he walks through the door and finally hears whatever “abysmal lines that I like to call my favorite music” are blasting that day. Toxic will never go out of style. Am I right or am I right? Since I’m baring my soul, additionally I feel the need to admit that the prosciutto on this pizza was highly influenced by the crispy ham croque madames. (I can rhyme.) May have a current love affair with that. It’s like thinner slices of bacon that get so, so crunchy. It’s total comfort food. You can easily leave it off if you’re vegetarian too. I know how you roll. 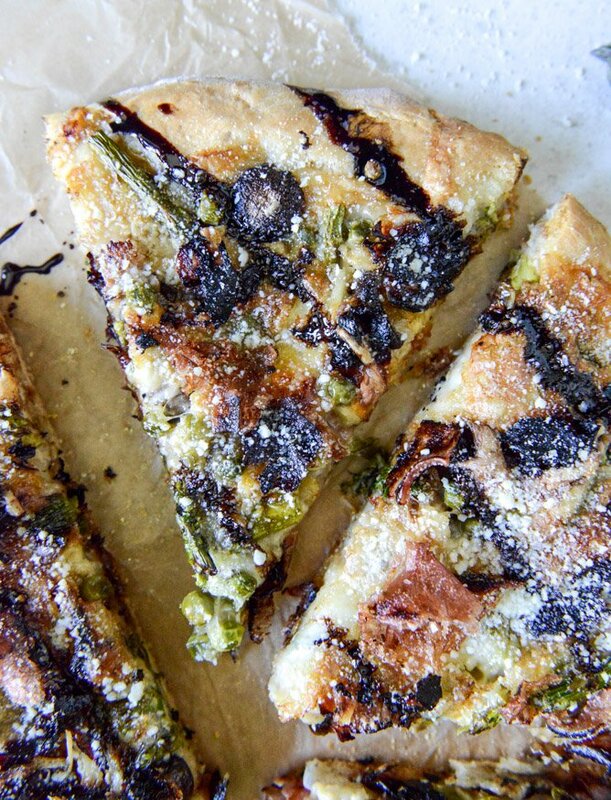 What I think I love most about this pizza, however – besides the balsamic glaze – is that the asparagus spears get a bit crispy too. You know I like to roast the heck out of my vegetables, like roast until they are near death, and if you put super skinny spears on your pizza, they will roast perfectly. And if all this jazz isn’t your thing, I made asparagus pizzas last year with bacon and eggs that were, um… pretty darn good. I might make one tonight. Darn, it feels like I just made those yesterday. SLOW DOWN TIME. Prepare dough 1-2 hours ahead of time. Preheat oven to 400 degrees F.
Place dough on a baking sheet (or pizza peel for a pizza stone) and form into the shape you desire. Brush with olive oil then cover in minced garlic. Top with half of the fontina cheese (I like to place some down first to act as “glue”), then evenly place shallots, mushrooms, asparagus, prosciutto and peas on the pizza. Top with the fresh mozzarella and remaining fontina. 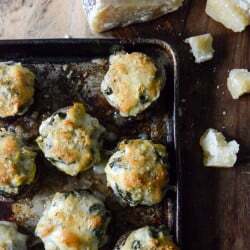 Bake for 25-30 minutes, until cheese is golden and bubbly. Remove and cover with romano cheese, then take a spoon and drizzle balsamic glaze on top. Its so so beautiful. That glaze just clutches at my heart strings. I made a similar pizza last night- but never would have thought of that! The reduced balsamic is as sweet as candy! this looks amazing! do you put raw asparagus on the pizza or do you blanch it first?? I love all of your pizza recipes – so delicious! Can I make the dough the day before and keep it in the fridge or is it best fresh? I recently got a pizza peel and stone and have had one disastrous experience trying to get the pizza from the peel to the hot stone in the oven. Can you share your technique? Do you put semolina or flour on the peel or stone? Do you pull the oven rack holding the stone out of the oven to transfer the pizza from the peel to the stone? Thank you! I too have experienced pizza peel disaster; now I use a sheet of parchment paper between the peel and the pizza–perfect launches onto the stone every time! this looks AMAZING. the perfect springtime pizza combo! I am OBSESSED with balsamic glaze! I buy it already reduced at Trader Joe’s and try to avoid drizzling it on absolutely everything!! Yum! awesome pizza!! 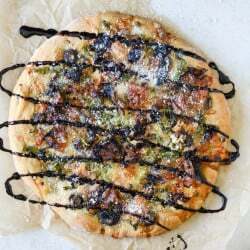 i just loved it ,made it the 1st time..Asparagus + Prosciutto Pizza with Balsamic Glaze!! Made this tonight with some asparagus I bought from the farmer’s market in town. Holy wow was this good!!! Well Done!! !